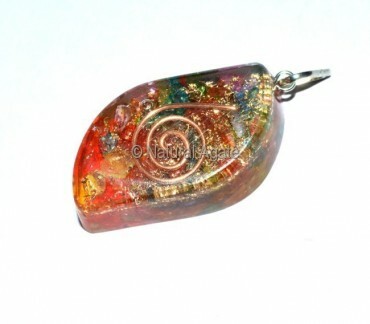 Orgone Chakra Eye Pendant is a smart piece. It looks colorful and vibrant. The pendant will align and balance your body, mind and soul. It is available on Natural Agate.